11.9.3.2 Homework #8: Assignments to hand in this week DUE Friday April 14, 2017. 11.20 530.707 Robot Systems Programming Spring 2017 YouTube Channel! This course seeks to introduce students to open-source software tools that are available today for building complex experimental and fieldable robotic systems. The course is grouped into four sections, each of which building on the previous in increasing complexity and specificity: tools and frameworks supporting robotics research, robotics-specific software frameworks, integrating complete robotic systems, and culminates with an independent project of the student’s own design using small mobile robots or other robots in the lab. Students will need to provide a computer (with at least a few GB of memory and a few tens of GB of disk space) running Ubuntu 16.04 LTS Xenial Xerus (http://releases.ubuntu.com/16.04) or one of its variants such as Xubuntu 16.04 LTS (http://xubuntu.org/getxubuntu) and ROS Kinetic Kame (http://wiki.ros.org/kinetic)– note that these specific versions of Linux and ROS are required! Students should have an understanding of intermediate programming in C/C++ (including data structures and dynamic memory allocation) Familiarity with Linux programming. Familiarity with software version control systems (e.g. subversion, mercurial, git), linear algebra. Required Course Background: EN.530.646 Robot Devices, Kinematics, Dynamics, and Control and EN.600.636 Algorithms for Sensor Based Robotics, and 601.220 Intermediate Programming in C++. The course is open to undergraduates (4 credit) with the permission of the instructor. This course is NOT available for “Audit”, it is only available for letter grade credit. In this course we will use the EduMIP mobile robots – see The EduMIP Mobile Robot: Running the EduMIP as a ROS Node for more information. We are available to answer individual questions during regular office hours in the Wyman 140 lab. You are welcome to bring your computer to Wyman 140 to work on the assignments during office hours, or to use the desktop computers provided in this lab. New to be released in September 2017: A Systematic Approach to Learning Robot Programming with ROS 1st Edition by Wyatt Newman, available online in hardcopy or electronic form at Amazon. Programming Robots with ROS: A Practical Introduction to the Robot Operating System, 1st Edition, by Morgan Quigley, Brian Gerkey, and William D. Smart, available in hardcopy from from Amazon, also available free online to the JHU community from the Milton Eisenhower Library’s subscription to Safari Books Online. Electronic books available through the Milton Eisenhower Library are accessible from on-camps IP addresses. If you are off-campus, you will need to VPN into the campus network to access these electronic books. You must have taken both of “core” robotics courses 530.646 Robot Devices, Kinematics, Dynamics, and Control and also 601.463/601.663 Algorithms for Sensor-Based Robotics. It is OK, if you have previously taken one of these two courses, for you to concurrently take the other course while you are taking 530.707. It is NOT OK to be taking both of these courses while you are taking 530.707. You must have already taken 601.220 Intermediate Programming in C++ or an equivalent course. This is a prerequisite, not a co-requisite. You must have completed 601.220 or the equivalent before you take this 530.707. No exceptions. Students will need to provide their own computer (with at least a few GB of memory and at least ~30 GB of disc space) running Ubuntu 16.04 LTS LTS (Xenial Xerus) (https://wiki.ubuntu.com/XenialXerus/ReleaseNotes) or one of its variants such as Xubuntu). You will also need to install ROS Kinetic Kame (http://wiki.ros.org/kinetic) . Your computer can be dual boot. Linux installations in a virtualbox are NOT an acceptable substitute. We have 6 computers as dual boot with Windows and 64-bit Xubuntu Linux 16.04 LTS and ROS Kinetic (aka ROS Kinetic Kameo) installed and five turtlebot 2s mobile robots in the Wyman 140 Lab. By Jan 29 or so we hope to have everything set up so that you can boot the computers into Linux, and log in with your JHED ID and password. 1. Type CTRL-ALT-F1 to get an ASCII console. 5. Type CTRL-ALT-F7 to get the X-windows login screen. 6. Log in normally using the graphical login screen with you JHED ID and password. 7. For all future logins on this machine, you can log in in normally using the graphical login screen with you JHED ID and password. Your account has sudo privileges so BE CAREFUL WHEN USING sudo! The only sudo command you should ever use is “sudo apt-get install ros-kinetic-packagename” where “packagename” is the name of a ros package. Do not edit or modify and ROS files under /opt/ros. If you want to modify a standard ROS package, then download the kinetic versoin of the source-code for the package into your catkin workspace, and modify your local copy. ROS will automatically detect your local copy and use it instead of the system version in /opt/ros. The only version of the operating system we will support is Xubuntu 16.04 64-bit. DO NOT upgrade the operating system to more recent releases. DO NOT install other versions of ROS other than ROS kinetic. Never not “lock” a workstation with a screen-saver. Locked computers will be powered off. No Backup! : The files on these computers are NOT BACKED UP. Any files that you leave in your account on these computers can disappear at any time. Use https://git.lcsr.jhu.edu to save your projects during and after every work session. When you are finished a work session, log off the computer. If you encounter a problem: Notify Prof. Whitcomb and the TAs if you have any problems with the lab or its equipment. Put “530.707” in the subject line of any email regarding this course. We have 7 Lenovo Thinkpad Yoga 260 notebooks. #1-#5 are dedicated to Turtlebot #1-#5. #6 and #7 are extra for project use – see the instructor if you would like to use one. Workstations 1-6 are set up on a local turtlebot network. The turtlebot netbook computers and workstations 1-6 are set to static IP addresses via a static DHCP lease. Here is the list of computers and IP addresses you should use when working with the turtlebots. If we need additional workstations for working with the turtlebots, we can add them to the turtlebot network. turtlebot-02 192.168.1.112 turtlebot 2 OK. The SSIDs for the turtlebot WIFI networks are turtlebot-2.4GHZ. See the TA or instructor for the WIFI password for the turtlebot WIFI network. Wyman Park Building: Show your J-Card at the front desk during business hours. After hours, you should be able to enter the building front door with your J-Card. If this does not work for any reason, please call the JHU Campus Police on their non-emergency phone number 410-616-4600 to ask them to come and let you into the building. Let us know if you have an problems. Wyman 140 Room Access: Use your J-Card to swipe in. You are not permitted to use Wyman 140 during the above times when other classes have lab sessions scheduled. NOTE: in this course we will exclusively use Ubuntu 16.04 LTS (or an equivalent release such as Xubuntu 16.04 LTS) and the stable ROS Kinetic Kame release. The ROS core systems: Packaging, Buildsystems, Messaging, CLI & GUI tools, creating packages, nodes, topics, services, and paramaters. Install Ubuntu 16.04 LTS (or an equivalent release such as Xubuntu 16.04 LTS). Installing and Configuring Your ROS Environment. NOTE: in this course we will exclusively use Ubuntu 16.04 LTS Xenial Xerus (http://releases.ubuntu.com/16.04) or one of its variants such as Xubuntu 16.04 LTS (http://xubuntu.org/getxubuntu) and ROS Kinetic Kame (http://wiki.ros.org/kinetic). Homework #1: Assignments to hand in this week. DUE 5:00PM Tuesday Feb 7, 2017. Write and test a publisher node that publishes a TOPIC and subscriber node that subscribes to this TOPIC. Write and test a server node that provides a SERVICE and client node that calls this SERVICE. Login to our GIT server at https://git.lcsr.jhu.edu via the “LDAP” login tab using your JHED ID and password. If you do not already have one, create an ssh id on your computer and, add your ssh key to your account on git.lcsr.jhu.edu. If this is the first time you are using this GIT server, email lcsr-it@jhu.edu to ask Anton Deguet to increase your quota on git.lcsr.jhu.edu so that you can push your assignments to the server. Be sure to include your JHED ID with your request. Email the TAs and instructor when done, with “530.707 Assignment 1” in the subject line. tf tutorials (C++)NOTE: Be sure to do the version of these tutorials for ROS kinetic with the CATKIN build system. Homework #2: Assignments to hand in this week (Git Project name: learning_tf ). DUE 5:00PM Tuesday Feb 14, 2017. Writing your own package to subscribe to the joystick /joy and publish a geometry_msgs/Twist topic to command the EduMIP. Writing launch files for same. Running ROS systems spanning more than one computers. Peruse the documentation on other common message types such as actionlib_msgs, diagnostic_msgs, geometry_msgs, nav_msgs, sensor_msgs, shape_msgs, stereo_msgs, trajectory_msgs, and visualization_msgs. Homework #3: Assignments to hand in this week. DUE 5PM PM Tuesday Feb 21, 2017. Assemble and Test the EduMIP as described here Assembling_and_Testing_the_EduMIP_Kit. List the usb devices on your computer with the “lsusb” command with the joystick plugged USB cable connected and also when disconnected. Use the command “jstest /dev/input/js0” to test your joystick. This utility gives text output of the joystick data. Alternatively, test the joystick with the graphical widget “jstest-gtk”. Run this utility it with the command “jstest-gtk”. The default joystick is /dev/input/js0 (where “0” is numeral zero, not the letter O. The permissions for /dev/input/js0 are already OK, i.e. you NOT need to change the permissions for /dev/input/js0 with the command “sudo chmod a+rw /dev/input/js0”. The ROS joy_node automatically looks for the device /dev/input/js0. You do NOT need to set the parameter with the command “rosparam set joy_node/dev “/dev/input/js0”. Be sure to use the commands “rosnode list”, “rostopic list”, and rostopic echo /joy” to explore the /joy topic messages. Create a ROS C++ package entitled “joy_twist”, with dependencies to roscpp, std_msgs, geometry_msgs, and sensor_msgs with the command “catkin_create_pkg joy_twist roscpp std_msgs geometry_msgs sensor_msgs”. In this package create a C++ node entitled joy_twist.cpp that subscribes to a sensor_msgs/Joy joystick topic entitled “/joy” and publishes a geometry_msgs/Twist topic named “/edumip/cmd”. We suggest you use a ROS Timer callback function to publish the Twist messages at 10Hz – see ROS Timer documentation for details. Your node should assign joystick axis 1 to twist.linear.x, and joystick axis 0 to twisr.angular.z — BUT YOU CAN CHOOSE A DIFFERENT MAPPING IF YOU LIKE — you may need to change a sign in the assignment so that pushing the joystick forward makes twist.linear.x positive, and pushing the joystick to the right makes the twist.angular.z positive. Launches your joy_twist node which subscribes to sensor_msgs/Joy messages on the /joy topic and publishes geometry_msgs/Twist messages on the /edumip/cmd topic. Be sure to use the commands “rosnode list”, “rostopic list”, “rostopic echo”, “rostopic type”, and “rostopic hz” to explore the /joy and /edumip/cmd topics. Run rqt_graph to see the nodes and topics graphically. Joystick Control of the EduMIP and multi-computer ROS Programming: You will “hand in” this part of the assignment by demonstrating joystick control of your EduMIP to one of the TAs during office hours next week on Feb 20 or Feb 24. See above for office hours. Running ROS Across Multiple Machines: Do the tutorial Running ROS Across Multiple Machines. Do not hand in anything for this tutorial, it is just to get you started on running ROS across multiple computers. ifconfig: Use the command “ifconfig” to see all configured network interfaces (Ethernet, WiFi, USB, etc) on your machine. iwconfig: Use the command “iwconfig” to see all configured WiFi network interfaces on your machine. Who am I? The easiest way to determine the IP address (or addresses) of a Linux machine is to log into it and use the command “ifconfig”. “export ROS_MASTER_URI=http://192.168.1.51:11311” <- this tells ROS the IP address of the machine that is running the ros master (roscore). “export ROS_IP=192.168.1.51” <- this tells ROS the IP address of this machine (your PC). “export ROS_IP=192.168.1.54” <- this tells ROS the IP address of this machine (your EduMIP). On your PC, in a new shell, run roscore. On your PC, in a new shell, run “rostopic list”, you should see the standard default topics from the roscore on your PC. On your EduMIP, in a new shell, run “rostopic list”, you should see the standard default topics from the roscore on your PC. Yay! On your PC, run “rqt_graph” to visualize the nodes and topics. Rqt_plot diagram depicting the nodes, topics, and data flow between the nodes via the topics for Assignment #3. Click for higher resolution image. The joy_twist node subscribes to sensor_msgs/Joy messages on the topic /joy and publishes geometry_msgs/Twist messages the /edumip/cmd topic. Stand up your EduMIP and take it for a drive. Explore the ROS topics, and rqt_graph. DEMO IT TO YOUR TA (REQUIRED): Demo to a TA during office hours in Wyman 140. Notes from Class: In class we downloaded the urdef tutorial package into my catkin workspace. Here are few notes on the steps taken to do this. In this example we will download a local copy of the urdef_tutorial ROS package into my catkin workspace~/ros_catkin_ws/src/urdf_tutorial. You can edit the local copy in your workspace. The system copy located here /opt/ros/kinetic/share/urdf_tutorial but you cannot edit these files because they are protected system files. Better to edit your own local copy in your catkin workspace rather than mucking with the system copy. This is an example of workspace overlay where we create a package in a local workspace that ROS will use in preference to the default system package of the same name. Linux commands are shown in bold font. Comments are in italic font. rospack profile(This command forces rospack to rebuild the cache of the ros package path that is used by roscd. The cache the text file ~/.ros/rospack_cache). Note that beginning with urdf/05-visual.urdf RVIZ throws lots of warnings like “TIFFFieldWithTag: Internal error, unknown tag 0x829a.” but the program runs OK. Homework #4: Assignment to hand in this week – DUE 5PM Tuesday Feb 28, 2017: Develop a ROS package named edumip_my_robot for your EduMIP. Rqt_plot diagram depicting the nodes, topics, and data flow between the nodes via the topics for Assignment #4. Click for higher resolution image. A left continuous joint named “jointL” with parent link “edumip_body” and child link “wheelL”. A right continuous joint named “jointR” with parent link “edumip_body” and child link “wheelR”. Your node should subscribe to the /edumip/state message that has recently been expanded to include wheel joint angles and odometry data (i.e. robot X, Y, and heading). sensor_msgs/JointState messages for this robot on the topic /joint_states.. Look at the message definition file edumip_msgs/msgs/EduMipState.msg to see comments on the state message fields. Remember to update your edumip_msgs package (on your PC and EduMIP) from the git repository! It has changed since last week! A tf transform from the fixed “world” frame to this robot’s “robot_base” frame that specified the moving position and orientation of the robot with respect to the fixed “world” frame. NOTE:Your node should have a SINGLE callback function for subscribing to the /edumip/state topic, and within this callback function it should publish the the /jount_states topic and the /tf topic. RVIZ screen shot for Assignment #4 showing visualization of your robot_model (defined by your urdf or xacro file) and visualization of your tf frames. Click for higher resolution image. A RVIZ initialization file called “rviz/edumip_my_robot.rviz” that displays your robot_model and tf frames. Launches your joy_twist node from the joy_twist package that you wrote for last week’s assignment. Recall that the joy_twist node subscribes to sensor_msgs/Joy messages on the topic /joy and publishes geometry_msgs/Twist messages the /edumip/cmd topic. Launches your custom edumup_my_robot_publisher C++ node from your edumip_my_robot package that you wrote for this week’s assignment. Recall that this node subscribes to the /edumip/state topic and publishes on the /jount_states topic and the /tf topic as described earlier in this assignment. Launches a standard robot_state_publisher node from the robot_state_publisher package. Recall that this node subscribes to the /jount_states topic and the robot_description parameter and publishes /tf frames for the robot based onyoru urdef and the joint_states. Sets the parameter “robot_description” to load your urdf/edumip_my_robot.urdf’ (or .xacro) that you wrote his week to model your edumip. Launches RVIZ specifying the a rviz initialization file entitles rviz/edumip_my_robot.rviz. hat you create to visualize your robot_model (defined by your urdf or xacro file) and visualization of your tf frames. Now you should be able to drive your robot around with your joystick and see your robot model drive around in RVIZ complete with depiction of the robot and its coordinate frames. NOTE that RVIZ will not display your robot model correctly until it receives valid /tf transforms for all of the robot links. If the link /tf transforms are not valid then RVIZ will show errors in the “robot_model” RVIZ GUI, and the robot links will appear white instead of the colors specified in your urdf/xacro file. Push the finished package to edumip_my_robothttps://git-teach.lcsr.jhu.edu and share it with the course instructors (this is due 5PM Tuesday Feb 28, 2017). DEMO IT TO YOUR TA (REQUIRED): Demo to a TA during office hours in Wyman 140 (this is due by during regular office hours on the week Feb 27-Mar 3, 2017). You can verify that Gazebo is installed by issuing the command “gazebo” on the command line – a gazebo window should open after a few seconds delay. NOTE: Gazebo is CPU-intensive, and may not run very well in virtual boxes. A lab full powerful desktop PCs are available for you to use in Lab Room 140 of the Wyman Park Building. SDFormat Specification SDF is how Gazebo defines robots and the environment. You can generate SDF from URDF. Skip “Install”. Do not install Gazebo, it was installed when your installed the full ROS kinetic desktop. Quick Start: How to run Gazebo with a simple environment. Gazebo Components: This page provides and overview of the basic components in a Gazebo simulation. Gazebo Architecture: Overview of Gazebo’s code structure. Model Structure and Requirements: How Gazebo finds and load models, and requirements for creating a model. Skip this one for now: How to contribute a model. Make a model: Describes how to make models. Make a mobile robot: How to make model for a 2-wheeled mobile robot. Skip these for now “Digital Elevation Models”, “Population of models”, and “Building Editor” for now — you can return to them at a later date when and if you need them. Friction: How to set friction properties. Be sure to experiment with the more exhaustive friction example linked at the very end of this tutorial. This is the example that I showed in class with sliding blocks. Modify the gravity, friction, and initial position/orientation of the objects to observe different dynamics. Skip this: Which combination of ROS/Gazebo versions to use You can skip this as you will use the default version 7.0.0 that comes with ROS kinetic — see gazebo ROS installation notes above. RVIZ screen shot from Assignment #4 showing visualization of your EduMIP as specified bu its XACRO file and visualization of your tf frames. Click for higher resolution image. Screen shot of Gazebo screen shot from Assignment #5 showing the EduMIP robot model derived from a XACRO file. Click thumbnail for higher resolution image. Create a new Gazebo ROS package named edumip_my_robot_gazebo_ros with dependencies to at least the following packages: roscpp tf std_msgs sensor_msgs geometry_msgs edumip_msgs gazebo_msgs gazebo_ros. DO not use the directory structure specified in the Creating your own Gazebo ROS Package tutorial and exemplified in the URDF in Gazebo RRBot package that you downloaded and used in this tutorial. Create a XACRO file urdf/edumip_my_robot.xacro for your EduMip – you can begin with the XACRO file you created for HW#4. If you did not create a XACRO file for HX#4, then do so now. You can use a xacro file in your launch file to set the robot_descriptionparameter with the launch file command “<param name=”robot_description” command=”$(find xacro)/xacro –inorder $(find edumip_my_robot_gazebo_ros)/urdf/edumip_my_robot.xacro” />’“. Add additional statements to your XACRO file so that it can be automatically translated to SDF format for use by Gazebo. Your EduMIP should be statically stable at rest in a normal gravitational field when on a flat surface – so offset the inertiacenter-of-mass origin of edumip_body to be BELOW the wheel joints – doing so will make the model balance upright due. It should have nice happy colors. Create a gazebo world file named edumip_my_robot.world which provides at least horizontal plane, gravity, and some objects or buildings. Your world file can contain your robot model, or you can spawn your robot model in your launch file. In Gazebo you should be able to cause the robot to move on the plane by applying torques to the wheel (or leg) joints. Set some parameters – see how the “$(find…” command is used in the tutorial launch files. Set the parameter world_name to the name of the world file using similar syntax. Spawn a model of your EduMip with the roslaunch file using the “spawn_model” node in the “gazebo_ros” package with arguments args=”-param robot_description -urdf -model edumip_my_robot”. Read the documentation of this package for details. Run your launch file with roslaunch. It should launch gazebo with your robot model at the origin. On the right hand side og the gazebo window, with your mouse swipe open the “Joint” pane. Apply some torque to he joints to make your robot move. Introspect on the topics with rostopic list’ and rostopic echo. Push the finished package edumip_my_robot_gazebo_ros as a new repo on https://git-teach.lcsr.jhu.edu and share it with the course instructors. Rviz screen shot showing the RRBot camera and laser-scanner sensor data. Click for higher resolution image. Gazebo screen shot showing the RRBot camera and laser-scanner sensor data. Click for higher resolution image. here you will also need to set the visualize property of the hokuyo laser plugin to true (i.e. “<visualize>true</visualize>”). ROS control Before you do this tutorial be sure that you have the kinetic ros-control packages installed with the command “sudo apt-get install ros-kinetic-ros-control ros-kinetic-ros-controllers”. If these packages are not installed on your system you will get error messages like [ERROR] [WallTime: 1395611537.772305] [8.025000] Failed to load joint_state_controller and [ERROR] [WallTime: 1395611538.776561] [9.025000] Failed to load joint1_position_controller. Note: If you previously downloaded the gazebo_ros_demos tutorial package from this tutorial then you do not need to create a new custom package names “gazebo_tutorials” for this tutorial since the “gazebo_tutorials” package is already present in the directory ~/catkin_ws/src/gazebo_ros_demos/custom_plugin_tutorial. Rqt_graph screen shot showiing the data flow for HW#6. Click for higher resolution image. Expand upon your package named edumip_my_robot_gazebo_ros that you created for last week’s assignment. Specifies /edumip/cmd as the commandTopic that the plugin will subscribe to. Specifies the correct name for your robot’s wheel joints – should be jointL and jointR, respectively, as named elsewhere in your XACRO file. Specifies publishWheelJointState to be TRUE to enable the plugin to publish the joint states. Specifies the appropriate wheel diameter and wheel separation. Specifies /edumip/odom as the odometryTopic that the plugin will publish. In your robot’s xacro file add new link on top of the robot named camera_link. Gazebo screen shot for HW #6 showing the EduMIP robot at the gas station. Click for higher resolution image. RVIZ screen shot for HW #6 showing the EduMIP visualized, and showing the robot camera image generated by the camera plugin, and showing the odometry data published by the differential drive controller plugin. Click for higher resolution image. Use your launch file from last week (launch/edumip_my_robot_gazebo.launch) to launch gazebo – you should be able to see the camera link in the gazebo window. Use rqt_image_view and select the topic /edumip/camera1/image_raw to see the images generated by the camera plugin. Loads the parameter from your xacro file urdf/edumip_my_robot.xacro. Launches a robot_state_publisher node that subscribes to the topic /joint_states and publishes on /tf. This is a system-defined node, you do not need to write it. Includes the launch entitled joy_twist.launch file from your package joy_twistfrom HW #3. Recall that this launch file launches a standard joy node and also launches the joy_twist C++ node that you wrote for HW# 3. Launches RVIZ with the initialization file rviz/edumip_gazebo_rviz_hw6.rvizthat you created for this assignment. Run your two launch files – one launches Gazebo and one launches RVIZ. You should be able to drive your robot around in Gazebo with your joystick, and see the robot visualized simultaneously in both Gazebo and RVIZ. In RVIZ you should be able to see the robot, its odometry trail, and the camera image. Push It: Push your finished package to edumip_my_robot_gazebo_ros on https://git-teach.lcsr.jhu.edu and share it with the course instructors (this is due 5PM Tuesday March 14, 2017 – deadline extended to 5PM Thursday March 16, 2017). This is the same git repo that you used for the previous assignment – just update it with this week’s work. DEMO IT TO YOUR TA (REQUIRED): Demo driving you robot and simultaneously visualizing it in both Gazebo and RVIZ to a TA during office hours in Wyman 140 (this is due by during regular office hours on the week Mar 13 – Mar 17, 2017). NOTE that the turtlebot tutorials are not all updated to ROS Kinetic, but the tutorials for ROS Jade should work just fine when kinetic-specific tutorials are unavailable. Install the turtlebot packages and the turtlebot simulator Gazebo and Rviz packages. Update your PCs Linux system and ROS packages with the commands first sudo apt-get update and then sudo apt-get dist-upgradeTHIS IS IMPORTANT, DO NOT SKIP THIS STEP! If you have not updated recently, the command may pull down several hundreds of MB from the Ubuntu and ROS repositories. NOTE 1: After you install the above packages, kill your login shells and start a clean shells so that additional required gazebo environment variables are set. NOTE 3: You do not need to run the command rosrun kobuki_ftdi create_udev_rules because your notebook computer will not be physically connected to the kobuki base with a USB cable. The notebook computers that are physically on the turtlebot will be connected to the kbuki base with a USB cable. Your computer will communicate to the turtlebot’s on-board netbook via WiFi. Read about the Turtlebot simulator package for ROS kinetic. Do the “(Section) 6: Simulation” Tutorials for Gazebo (do not do the “Stage” simulator tutorials). Gazebo Bringup Guide: See the simulated turtlebot in Gazebo. When you run the command roslaunch turtlebot_gazebo turtlebot_world.launch if you get the error “Invalid <arg> tag: environment variable ‘TURTLEBOT_GAZEBO_WORLD_FILE’ is not set.”, refer to the NOTE 1 item on installation above. Explore the Gazebo world: Cruise around in the Gazebo world and use RViz to “see” what’s in it. NOTE 4: Do not attempt to install ROS Jade packages, we are using ROS kinetic. So install only ROS kinetic packages. NOTE 5: The tutorial’s RVIZ initialization file has some errors in the topic names. For example: when displaying the “DepthCloud” visualization in RVIZ, set its “Color Image Topic” to /camera/rgb/image_raw – this will overlay the Kinect camera image on the Kinect’s depth cloud. Make a map and navigate with it: Use the navigation stack to create a map of the Gazebo world and start navigation based on it. cd ~/ros_catkin_ws/src (varies depending the name and location of your catkin workspace). Check that you have overlaid this package with your local copy. Now when you give the command roscd turtlebot_gazebo your default direcectory should be set to ~/ros_catkin_ws/src/turtlebot_simulator/turtlebot_gazebo. Save your map to files with your name as part of the filename – for example I might use the command rosrun map_server map_saver -f map_by_louis to generate the map occupancy grid data file map_by_louis.pgm and its associated meta-data file map_by_louis.yaml. Examine the contents of the .pgm map file with an image viewer such as gimp. Examine the contents of the .yaml metadata map with a text editor or more. I set the node move_base parameter “recovery_behavior_allowed” to false (unchecked). I set the node move_base parameter “clearing_rotation_allowed” to false (unchecked). I set the node move_base navigation parameter speed_lim_w to 1.0 (was 5.8). Note that setting these parameters with rqt_reconfigure is ephemeral – the parameters return to the default values specified in the AMCL package then the package is re-launched. Run rqt_reconfigure with the command rosrun rqt_reconfigure rqt_reconfigure to see some of the configuration parameters of packages that you are running. Email the two map files (.pgm and .yaml) that you generated to the instructor and the TAs with the subject line “530.707 HW#7 by your_firstname your_lastname”. This is due by 5PM Tuesday March 28, 2017. Demonstrate to the TAs or instructor using your map to navigate the playground world with amcl particle filter navigation (you did this in the last part of the SLAM navigation tutorial). This is due in office hours the week of March 27-31, 2017. This lab is optional, for extra credit. If you do this lab, please complete it by Friday April 14, 2017. Read and understand these notes on the Wyman 140 Lab. Verify that that the laptop is turned on and charged. Verify that that the kobuki base is turned on and charged. Before driving a turtlebot, disconnect all power from the netbook and base. Plug in the laptop to charge. Plug in the kobuki base to charge. Wyman 140 Workstations and Turtlebot Netbooks:The necessary turtlebot ROS packages are already installed on Wyman 140 Workstations 1-6 and all Turtlebot Netbooks. Note that the command rosrun kobuki_ftdi create_udev_rules has ALREADY BEEN RUN to create the device /dev/kobuki for the turtlebot USB connection on the Turtlebot netbooks. You do not need run this command again on the netbooks. You do not need to run this command on the desktop development stations or on your own notebook PC. 2. Post-Installation Setup of the Turtlebot Netbook READ THIS TUTORIAL, BU DO NOT DO IT, WE ALREADY DID IT FOR EACH TURTLEBOT. Network time protocol service NTP is already installed on the turtlebot netbooks and the desktop development PCs. Don’t forget to install the turtlebot packages onto your own laptop (termed “Worksation” in the tutorial) as described. in this tutorial. These packages are already installed on the lab desktop PCs. Follow these steps to configure the ROS environment variables so that your development machine ROS nodes can talk to ROS nodes on the turtlebot netbook. You will need to configure your personal account’s .bashrc to set ROS environment variables on your development machine (termed “Worksation” in the tutorial) as described in this tutorial. You will need to configure your personal account’s .bashrc to set ROS environment variables on the turtlebot netbook as described in this tutorial. IF YOU USE A DIFFERENT WORKSTATION OR TURTLEBOT, YOU NEED TO CHANGE THESE ENVIRONMENT VARIABLES BOTH ON YOUR ACCOUNT ON YOUR WORKSTATION AND ON YOUR ACCOUNT ON THE TURTLEBOT NETBOOK. 1. TurtleBot Bringup How to start the TurtleBot software. 2. TurtleBot Care and Feeding This tutorials explains how to charge and maintain your TurtleBot. 3.3D Visualisation Visualising 3d and camera data from the kinect/asus. We recommend using this keyboard teleop node: roslaunch kobuki_keyop safe_keyop.launch rather than the default turtlebot keyop node. NOTE:Sometimes the kobuki_keyop safe_keyop.launch is wonky if you do not run a persistent roscore before launching anything. Run the keyboard teleop while 3D sensor and image information are being displayed in RVIZ. Try not to crash or to push against immobile objects (the turtlebot wheel motors could overheat and burn out). 2. Autonomous Navigation of a Known Map with TurtleBot This tutorial describes how to use the TurtleBot with a previously known map. Homework #8: Assignments to hand in this week DUE Friday April 14, 2017. Demonstrate to the TAs or instructor keyboard teleop of the turtlebot with 3D sensor data being displayed in RVIZ. Demonstrate to the TAs or instructor using your map to navigate the Wyman 140 lab with amcl particle filter navigation using the map that you created. Get your project proposal approved by Prof. Whitcomb. Note that you can use additional hardware (sensors, actuators, material, etc) not listed here. If you want to use other hardware not listed here, tell us and we can probably purchase it for your project. We have UR5 robot arms (https://www.universal-robots.com/products/ur5-robot) available for use in your course project. We presently have three arms, located in Wyman 170. They can be equipped with cameras, grippers, Kinect or R200 RGBD sensors. We can purchase additional components as needed. Each robot is equipped with a fairly powerful desktop PC loaded with Ubuntu 16.04 and ROS Kinetic. We are setting up an indoor flight cage measuring 16′ (height), 20′ (length), and 10′ (width) in the Keieger 70 hi-bay lab. Scale Model Electric Car – we have two of them. See our TAs if you want to check out and test any of these sample items. You are NOT limited to using these components, they are just an assortment of what is commercially available. If you need any commercially available component at reasonable cost, discuss it with the Instructor or TAs, we can purchase it for your project. ROS at_track_alvar package for tracking AR tags. Can be used to track one or more ar tags to (a) compute post of individual tags or multiple tags (composite, with several tags on a single rigid body) w/r to the Kinect, or (b) use ar tags as fixed reference points in the world to compute the position and orientation (pose) of the robot/imager. ROS sound_play package and tutorials for playing sound filed and text-to-speech. Form a project team of no more than 3 members. You can work independently if you prefer. Your project MUST include several original ROS nodes that you programmed by you from scratch. Review your preliminary project formulation with the Instructor and TAs during regular office hours and after classes this week. Ask them questions. Determine the availability of all required hardware. Conduct tests of any critical required existing ROS packages. IMPORTANT NOTE:These rules can be waived with the permission of the instructor if you have a good rationale for doing something different. Project Proposal – email A SINGLE PDF description of your proposed project to the Instructor and TAs. Be sure to put “530.707 Proposal for Project YOUR PROJECT NAME by NAMES OF ALL TEAM MEMBERS” in email subject line. Submit a single project proposal document for each project team. Description of proposed project. What does it do? Describe! How does a user interact with it? List and description of the NEW ros packages you will program from scratch to accomplish your project. List what testing you have done on these existing ROS packages. List and description of any new or additional hardware and infrastructure needed to implement your project. List of existing and infrastructure needed to implement your project. List what testing you have done on existing available hardware. Include a detailed list of all new hardware required to be purchased or borrowed, including quantity, description, model number, source/vendor, unit cost, total cost, etc. Are there any safety risks? If so, can they be managed and/or mitigated to an acceptable level fo safety? If so, what is the plan for risk management and/or mitigation? Project Timeline: For each week, give the hardware and software development and testing goals for the week. Week 1 hardware and software development and testing goals. Week 2 hardware and software development and testing goals. Week 3 hardware and software development and testing goals. Week 4 hardware and software development and testing goals. Week 5 hardware and software development and testing goals. Your goal should be to have your project completed by the end of Week 5 – the last week of classes. This should include your project poster for the class poster session on May 15, and also your project report. Your submitted proposal will be reviewed by the Instructor and TAs, and you will be notified of the result. It will either be “approved” or “not approved” – if “not approved” you will be asked to revise and resubmit the proposal. Now your EduMIP should use the serial package from your workspace. If your ROS environment does not seem to recognize that you have new packages in your catkin_ws/src, try updating your rospack profile with the command “rospack profile”, and update your rosdep cache with the command “rosdep update”. The robotics cape library and associated header files are already installed on your EduMIP. The link library is /usr/lib/libroboticscape.so, and the two top-level header files are rc_usefulincludes.h and roboticscape.h. 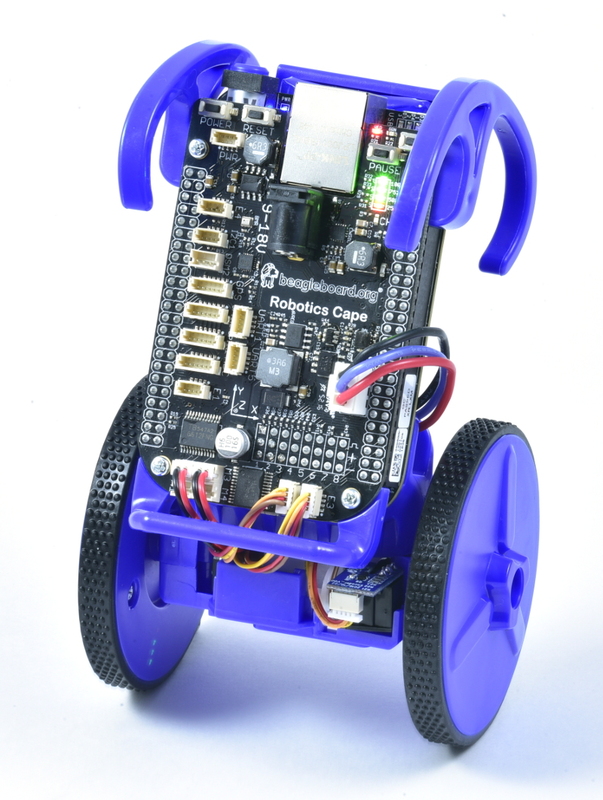 You can refer to the edumip_balance_ros project (https://git.lcsr.jhu.edu/lwhitco1/edumip_balance_ros) to see how to use the robotics cape C header files and C link library with your C++ ROS Node. See edumip_balance_ros/src/edumip_balance_ros.cpp to see how to include the C header files in a C++ program with the extern “C” directive. 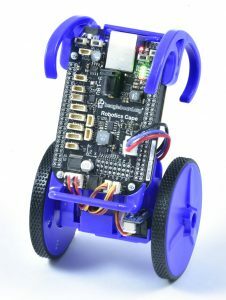 See edumip_balance_ros/CMakeLists.txt to see how to link your program to the roboticscape C library. To compile the edumip_balance_ros package (https://git.lcsr.jhu.edu/lwhitco1/edumip_balance_ros.git) you must also install the edumip_msgs package (https://git.lcsr.jhu.edu/lwhitco1/edumip_msgs.git). The edumip_balance_ros package will not compile on your PC, it will only compile on the EduMIP. Several teams propose to employ the EduMIP in a horizontal configuration with a caster wheel. To do this you will need to replace the “edumip_balance_ros” project with your own new code to command the wheel servos and to read and publish the wheel encoders. As I reviewed in class yesterday, one possible package you could use is the ROS differential_drive package (http://wiki.ros.org/differential_drive). To use the differential_drive package you will need to write a new C++ node for the edumip that (a) Reads the wheel encoders and publishes them on topics and (b) Subscribes to motor command topics and commands effort to the wheel motors. Week 2 of project development. Please fill out the google spreadsheet with info on the parts you need by 10AM Tuesday April 11, 2017. For each component you need (and that we do not already have available for you here), please fill out columns A through M, and send me and the TAs an email notification when your component request is complete. Topics: Work on your team project. Week 3 of project development. Week 4 of project development. Week 4 of [project development. Week 5 of project development. Final presentations will be a poster session 2-5 PM Monday, May 15, 201 in Hackerman Hall. We will provide 24”x36” foam-core boards. You need to print your own poster. You can print your poster on the ME Department’s HP Designjet T795ps located on the 3rd floor hallway of Latrobe Hall. Students in 530.707 all have 24/7 J-Card access to this floor. Follow these links for information on printing. https://me.jhu.edu/t12/top-12-graduate-students – click on “10. LABS, COMPUTING, RESEARCH, TRAVEL: Lab Safety, Computers, Software, Printers, Library Services, Travel Registry” then click on “Printers”. The printer is loaded with 42” wide HP Heavyweight Coated Paper, so you can print your poster sideways to save paper. Do not wait until the last day to print your poster! If you can demo your project at the poster session, please do so. If not, showing a video of your project in action is desirable. 530.707 Robot Systems Programming Spring 2017 YouTube Channel! If you make a video of your project in action, please upload a copy to this youtube channel. Let me know if you have any problems accessing or uploading to this channel! List and description of the new ros packages you implemented to accomplish your project. Include git repository URL for each package. List and description of any new or additional hardware and infrastructure you needed to implement your project. List of existing and infrastructure you needed to implement your project. Link to brief online video of your project in action (desired but not required). Project video (desired but not required). 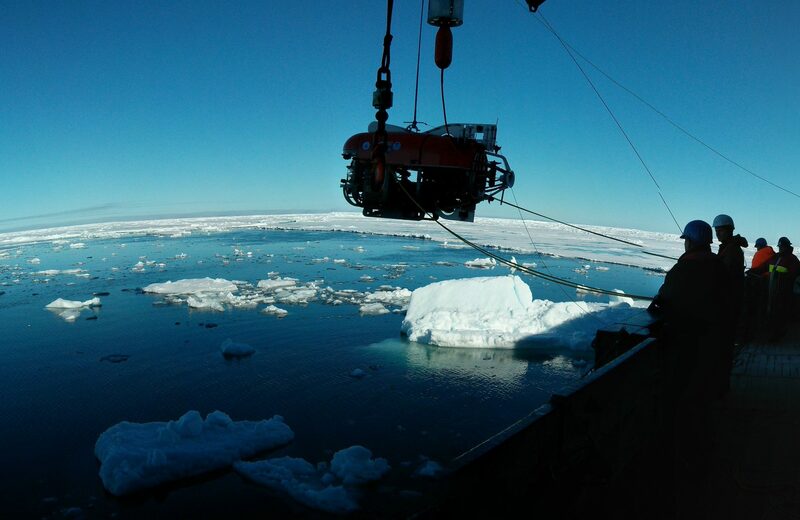 Link to Article on Spring 2016 Independent Course Projects – see below for project descriptions, photos, and links to project videos. Students are encouraged to work in groups to learn, brainstorm, and collaborate in learning how to solve problems. Problem Sets and Lab Assignments Final Writeups: Your final writeups for pre-lab exercises and lab assignments must be done independently without reference to any notes from group sessions, the work of others, or other sources such as the internet. While working on your final writeups for assignments, you may refer to your own class notes, your own laboratory notes, and the text. Disclosure of Outside Sources: If you use outside sources other than your class notes and your text to solve problems in the pre-lab and lab assignments (i.e. if you have used sources such as your roommate, study partner, the Internet, another textbook, a file from your office-mate’s files) then you must disclose the outside source and what you took from the source in your writeup. Cheating is wrong. Cheating hurts our community by undermining academic integrity, creating mistrust, and fostering unfair competition. The university will punish cheaters with failure on an assignment, failure in a course, permanent transcript notation, suspension, and/or expulsion. Offenses may be reported to medical, law or other professional or graduate schools when a cheater applies. Violations can include cheating on exams, plagiarism, reuse of assignments without permission, improper use of the Internet and electronic devices, unauthorized collaboration, alteration of graded assignments, forgery and falsification, lying, facilitating academic dishonesty, and unfair competition. Ignorance of these rules is not an excuse. For more information, see the guide on “Academic Ethics for Undergraduates” and the Ethics Board web site (http://ethics.jhu.edu). I do want to make clear that I’m aware that the vast majority of students are honest, and the last thing I want to do is discourage students from working together. After all, working together on assignments is one of the most effective ways to learn, both through learning from and explaining things to others. The ethics rules are in place to ensure that the playing field is level for all students. The following examples will hopefully help explain the distinction between what constitutes acceptable cooperation and what is not allowable. Student 1: Yo, I dunno how to do problem 2 on the homework, can you clue me in? that is thoroughly explained in  Chapter **** in the course text. - This scenario describes an acceptable interaction. There is nothing wrong with pointing someone in the right direction. done number 5 yet! Help me! here. Don't just copy it, though. is unaware of what student Y actually did. lab report and do the lab data calculations before it's all due. Joe Student: Yeah, that's a great idea! do one and two and give you copies when I'm done. Study group member II: Good idea, that'll save us a lot of work. I'll take three and five. guys sure this is OK? Seems fishy to me. Ike: Let's see (flips through assignment)... I got 2.16542. Ike: For that one... I got 16.0. Mike: (Writing) Sixteen point oh...great, got it, thanks. Helping out a friend totally rules! answer and copies it in this way.